Get started quickly using AWS with boto3, the AWS SDK for Python. 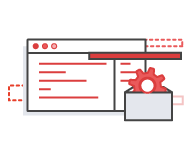 Boto3 makes it easy to integrate your Python application, library, or script with AWS services including Amazon S3, Amazon EC2, Amazon DynamoDB, and more. Boto3's 'client' and 'resource' interfaces have dynamically generated classes driven by JSON models that describe AWS APIs. This allows us to provide very fast updates with strong consistency across all supported services. Boto3 was written from the ground up to provide native support in Python versions 2.6.5+, 2.7 and 3.3+. Boto3 comes with 'waiters', which automatically poll for pre-defined status changes in AWS resources. For example, you can start an Amazon EC2 instance and use a waiter to wait until it reaches the 'running' state, or you can create a new Amazon DynamoDB table and wait until it is available to use. Boto3 has waiters for both client and resource APIs. 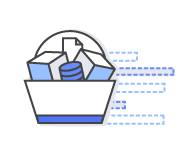 Boto3 comes with many features that are service-specific, such as automatic multi-part transfers for Amazon S3 and simplified query conditions for Amazon DynamoDB. Looking for the older version of Boto? The original Boto (AWS SDK for Python Version 2) can still be installed using pip (pip install boto). The project and its documentation are also available on GitHub and via the AWS SDK for Python Documentation.